* Eagle High: Siapa Peter Sondakh kepada Najib? PETALING JAYA: It is with a mix of anxiety and hope that 1.6 million civil servants are awaiting the big announcement about the composition of the Cabinet on Saturday (May 12). 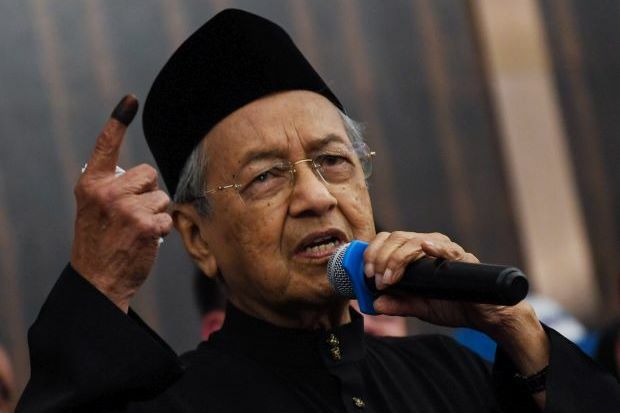 Some must have been squirming in their seats Friday when Prime Minister Tun Dr Mahathir Mohamad made it clear that “heads must fall” when he spoke about forming a new Cabinet. “Certain heads must fall. We find that some people aided and abetted a prime minister the world describes as kleptocrat,” Dr Mahathir told a press conference. The new Prime Minister went one step further and gave specifics. He said would “look into” Attorney-General Tan Sri Mohamed Apandi Ali, Election Commission chairman Tan Sri Mohd Hashim Abdullah and the Malaysian Anti-Corruption Commission (MACC). “Our intention is to go for people who have shown a tendency to be corrupt or who have committed known corrupt acts,” said Dr Mahathir. There is even a fake list on who is being targeted – from GLC heads, secretary-generals and heads agencies. For some time now, there has been discontent and whispers along the corridors of certain ministries over the abuse of power and corruption – not only that involving politicians but in the top-level management of the ministries. Dr Mahathir nailed it when he spoke about economic governance and the need for transparency. For a start, there must be transparency when giving out projects. “There are still projects being given out which many are not aware of,” said a civil servant officer. “What was the basis on which they are given out? There were no open bids or tenders. “If you really want to eliminate cronyism and corruption, you need to be transparent in your economic governance first,” said a civil servant. Being transparent means that if you give out a project, have an open bid so that it will not be questioned. There were cases when projects were awarded to companies which caught competitors by surprise as there were no tenders called. It also didn’t help that several Government agencies were used by politicians during the elections, purportedly for caretaker ministers to launch certain projects. Events were created for these politicians using government funds during the campaign period. Dr Mahathir has said he will announce ministers heading the Finance, Home Affairs, Defence, Education, Rural Development, Economy, Public Works, Transport, Multimedia Science and Technology, and Foreign Affairs portfolios. Speculation is rife over what form the economic ministry will take and if everything will be put under the Economic Planning Unit. It would be interesting to see where trade and industry matters will be parked under. In countries like Australia, foreign and trade are under one ministry. Dr Mahathir also did not mention sectors like agriculture and health. Surely these are core ministries to be established too, since some of their issues cannot be put under any other ministry. It would also be good if Dr Mahathir could merge some of the ministries under the previous administration. The problem in the past was that there were too many ministries tackling similar matters, causing coordination problems. Dr Mahathir needs to appoint competent people to fill up the ministerial posts. A Cabinet member must be able to clearly explain to the Prime Minister and his Cabinet colleagues about the policies and direction this Government is taking the country. As they say, the first 100 days is the honeymoon period. Transition takes time. This time is a new ground for all of us – a new government that has yet to be tested.